FSV Group, the Norwegian operator of specialised vehicles for maritime operations, has taken delivery of a customised 41-metre Damen barge which will provide a range of services to the Norwegian aquaculture industry. This sector is currently expanding strongly as demand for farmed fish products continues to grow. Measuring 41 by 13 metres, the barge has undergone a number of modifications at a local yard since its arrival in Norway. These have included the installation of a ballast system and the addition of an accommodation block for up to four people plus two deck cranes. Further alterations are currently being made. 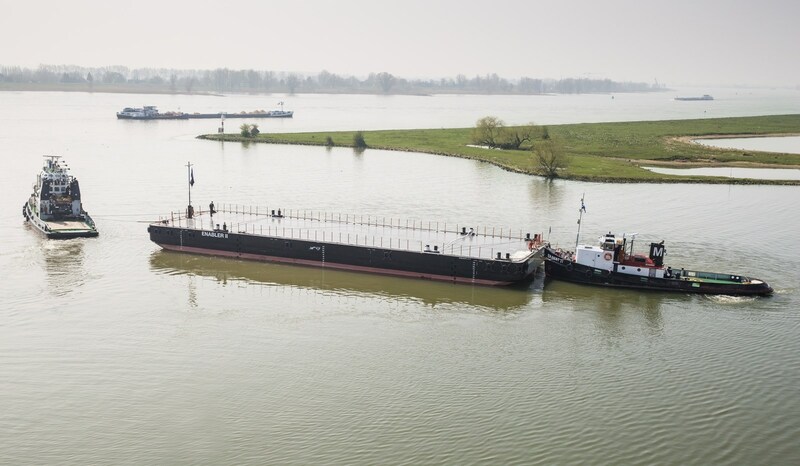 Delivery took place around six weeks after the contract was finalised, with the basic barge already in stock. Damen builds a wide range of standardised vessels including tugs, pontoons and crane barges for stock so as to be able to realise ultra-short delivery times. It enables us to offer our clients the best possible service By integrating the most common options into the stock models we are able to install quickly plug-and-play equipment such as pumps or safety railings at the customers’ request. The result is that clients can have their fully configured vessels delivered within a few weeks. Stan Pontoons are designed for carrying heavy loads on deck. They are not only perfect for Ro-Ro and heavy lift-transport, but can also be used as customisable platforms for almost any other maritime project or business similar to FSV Group. 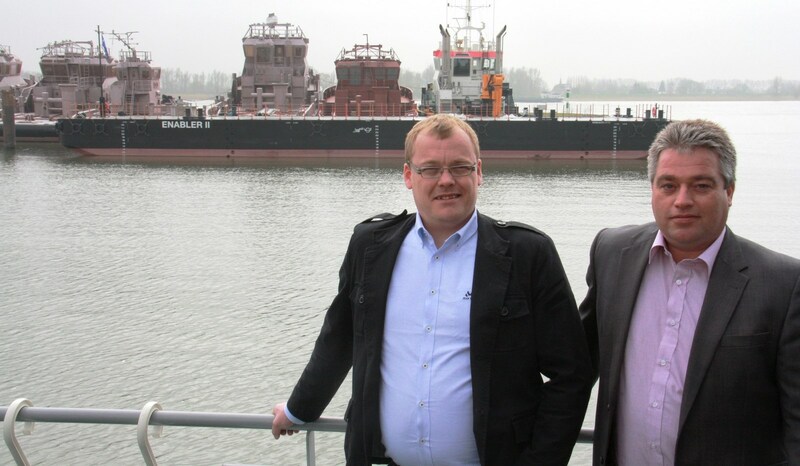 Damen congratulates FSV on taking delivery of their brand-new Stan Pontoon!